Illegal dumping of toxic trash by people who treat our desert as a wasteland. It's one of the biggest problems in Southern Nevada. 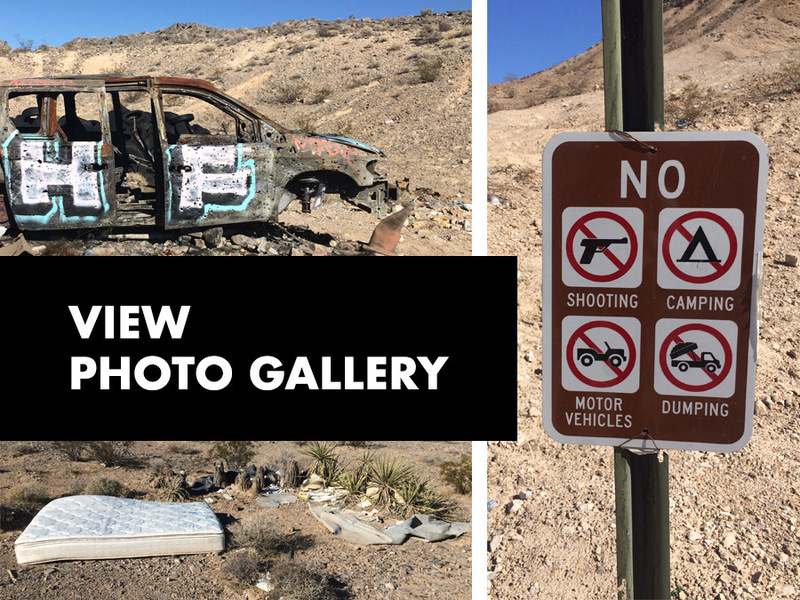 Chief Investigator Darcy Spears uncovers the valley's worst illegal dump sites and explains why the crime is nearly impossible to trace. When people talk about the glitz and glitter of Las Vegas, this carpet of broken glass is hardly what they mean. But more and more toxic trash is taking over our public lands. “It's overwhelming. I mean, it is enormous, it is all over the place. ‘We have spots all around the valley,” according to John Asselin of the BLM. The Federal Bureau of Land Management documented 235 dumping cases during the last fiscal year. Trash is not part of their mission, yet they spend tons of our tax dollars to work as garbage collectors, picking up everything from tires to toilets. “Just as a citizen I find this horrible,” Asselin said. Our investigation started with another citizen who took these pictures and posted on my Facebook page. Viewer Dennis Davis contacted us: "I'm tired of going out in the desert only to find now 10 dump truck-sized piles of tires. When is the law going to do something? Please investigate! This is out of hand." This is a view from the air of the dump sites Dennis discovered on BLM land near North Las Vegas Boulevard and Apex. Authorities weren't aware of what was here until we called them. The other big problem out here is illegal shooting, using things like this burned out car for target practice. The landscape is littered with shotgun shells and bullet casings of all shapes and sizes--some of them unusual calibers. The BLM's law enforcement division says the shooting is about the only thing they can catch in action because the dumping typically happens in the middle of the night. “It's a full-time job for a team of people which we don't have.” Chief law enforcement officer Stephanie Clark says the agency's resources are better used to educate people than to prosecute them. About three years ago, Republic Services' Apex landfill stopped taking tires. They now have to be shredded and recycled, which authorities say some businesses avoid due to cost. They choose the desert instead of paying for proper disposal. Republic Services takes passenger car tires at their disposal sites. Republic cautions anyone working with a small business like a mobile mechanic or recycling/waste or junk disposal companies to ask them for a business license. There are lots of unlicensed people out there who are responsible for illegal dumping. Republic wants the public to be sure they are working with a licensed business. Republic has removed 70,000 pounds of illegally dumped trash in the Jean dry lake area this past year. 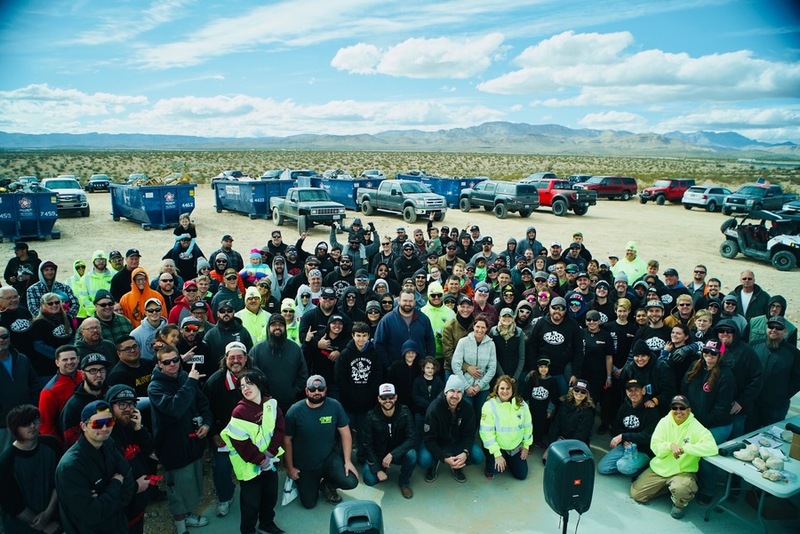 Republic Services also organizes volunteer cleanup events. Last fall and this spring they had 320 volunteers and removed over 70,000 pounds of illegally dumped material from Jean. The BLM's clean-up coordinator removed 13 tons of tires in just three months. That's about 1,300 tires along one 5-mile stretch of East Lake Mead Boulevard. “Throughout the valley last year we removed 175 tons of trash,” according to Clark. This area near the base of the Sunrise Mountain Recreation Area is littered with suitcases, furniture, carpets, mattresses and spray paint cans. We also saw a gas tank. There were five small fires in this area over the summer. One of them in this husk of a burned-out boat. “People are moving into houses here and in their backyard is all this trash that people are dumping out here it's just impossible to keep up with,” Asselin added. 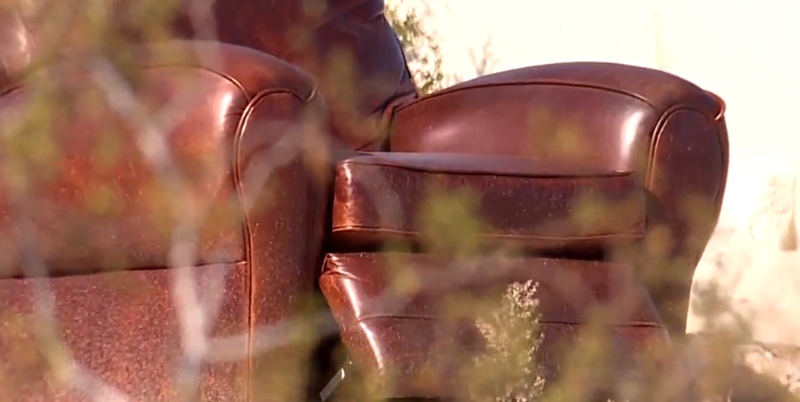 The Southern Nevada Health District says illegal dumping complaints are sharply on the rise. They've handled nearly 1200 cases so far this year. 171 have been referred out for further action and 75 illegal dumping cases have been adjudicated. By comparison, there were 57 cases adjudicated through the Notice of Violation process in 2016. While they cover county land, the BLM is responsible for a federal property like the area near Apex. The Health District has 12 investigators to work illegal dumping cases. Fines for illegal dumping can range from $500-$5,000 per day, but often results in a $1,000 per violation fine. Even though this looks bad, they say it's not nearly the worst in the valley. And out here it's not the worst of what we found. Just behind one of the tire piles, we discovered a decomposing dog in a trash bag. Whether it was a cruelty crime or not, authorities will likely never know because dumping is so tough to trace. “If people see something like this happening, do not approach them because you don't know if they would be dangerous or not, but any information you can gather, just let us know or let the county know or let Metro know,” Asselin said. Sometimes investigators hit a little jackpot of sorts when they find something like this out in the desert that literally has somebody's name written across it. While it may not have been this individual--Gary Moore--who dumped this, it could have been a company that was hired to haul away this person's junk. At the second site we visited on East Lake Mead, an unpaid bill and medical record for the same person. “It's kind of a gold mine when we find something like this,” Clark said. Evidence she takes to track the trash. Beyond the people doing the dumping, Clark says the biggest concern is our desert. This filter in a now empty tub of motor oil requires crews to remove soil three feet deep. “Anything that gets dumped near there is going to end up in our groundwater,” according to Clark. And if you do happen to catch someone illegally dumping, get as much information as you can and report it to the Health District using this link or call (702) 759-0600. Witnesses may be entitled to a $100 reward.